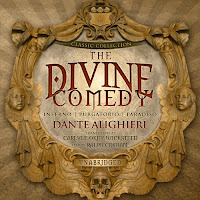 Overall, I really like this audio book version of The Divine Comedy and feel like the book was worth the price. What are your thoughts on the quality of the translation being narrated? You talk about the quality of the narration, and a little bit about the content when discussing how the summaries help, but beyond that not much about the translation itself. Looks like they've since added the Longfellow translation and translations by Kenny and Norton. You can listen to an excerpt at the links, but I have no experience with the latter two. In the middle of the journey of our life I came to myself in a dark wood where the straight way was lost. Ah! how hard a thing it is to tell what a wild, and rough, and stubborn wood this was, which in my thought renews the fear! 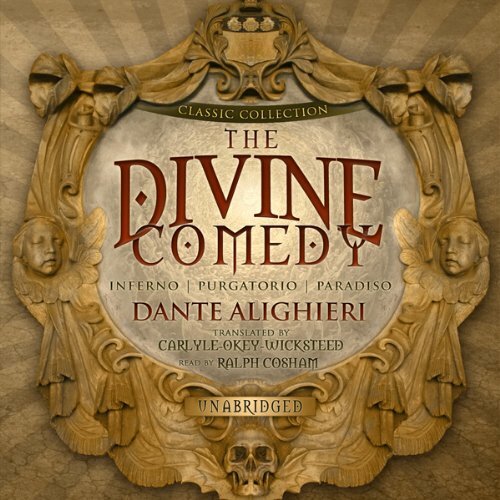 So bitter is it, that scarcely more is death: but to treat of the good that I there found, I will relate the other things that I discerned. I cannot rightly tell how I entered it, so full of sleep was I about the moment that I left the true way. I looked up and saw its shoulders already clothed with the rays of the Planet that leads men straight on every road.